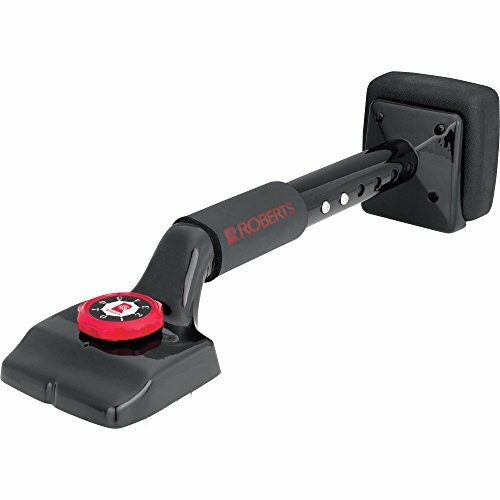 The 10-412-2 Deluxe Knee Kicker is Roberts’ most popular knee kicker and has been the “industry standard” for over 25 years. 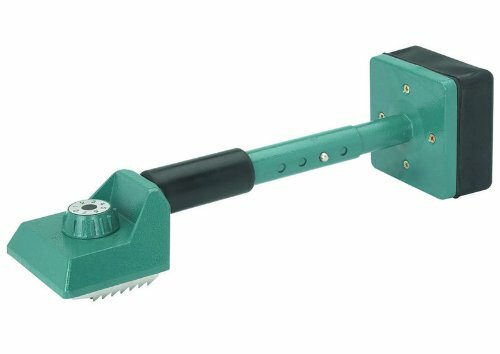 Trigger assembly easily adjusts the length from 17-Inch to 21-Inch and the superior die cast aluminum body is lightweight and durable.Features an exclusive non-slip checkered hand grip and a foam-filled seamless bumper pad for extra comfort. The Economy Knee Kicker features a thick foam-filled bumper pad and nonslip hand grip. Easy to use, 16-1/2 in. kicker with comfort foam grip. Great for "Do IT Yourselfers". Great for small areas. 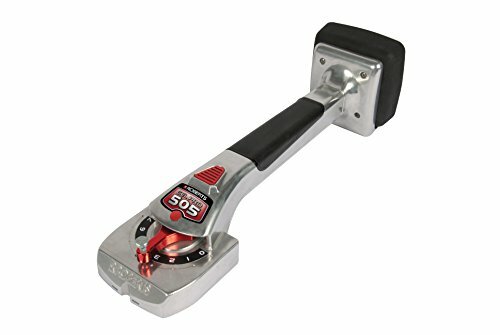 The Roberts 10-410 Economy Adjustable Knee Kicker is engineered with extra heavy aluminum castings and industrial grade steel to provide rugged strength and durability. The kicker features double locking pins to easily adjust the length from 19 In. to 23 In.. The high contour neck is specifically designed for use over stretcher heads and poles. 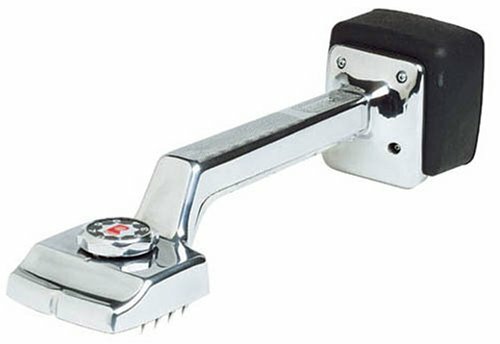 This knee kicker provides adequate performance for the Dyer or infrequent installer. Introducing the Roberts gel Pro 505 knee kicker, the next generation of Pro kickers. Thick 100 percent gel core greater shock absorbing material may significantly reduce knee shock. Durable rubber casing. High density foam base. Ergonomic handle padded, thicker grip eliminates hand strain. Quick thumb release quickly adjusts to 5 positions from 17in. To 21in.. innovative unique lever design for easy-switch pin depth ADJUSTMENT. Pronounced notch fits the corner of a stretcher head for an added nudge. "Bull neck" design 30 percent thicker, 30 percent wider neck. Optimal angle engineered to maximize impact and conform to the natural angle of your knee. The Roberts Deluxe High Profile Knee Kicker features a extra thick foam-filled bumper pad and a checkered, nonslip hand grip. Superior die cast aluminum body is lightweight and durable. Solid, dependable trigger release adjusts from 17-1/2 in. to 21-1/2 in. 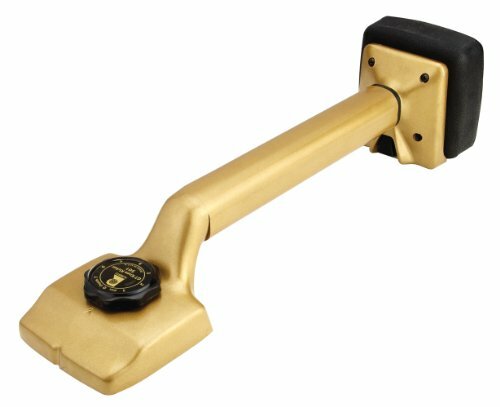 The Roberts 10-501, Golden Touch "GT" Knee Kicker is the choice of professionals for installing or repairing carpets. Easy, one-button adjustments from 18-7/8-Inch to 24-Inch lengths. Engineered with extra wide head for improved load distribution. 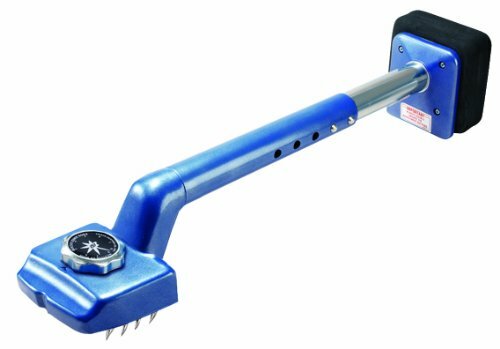 Features a high contoured neck for use over stretcher heads and poles. 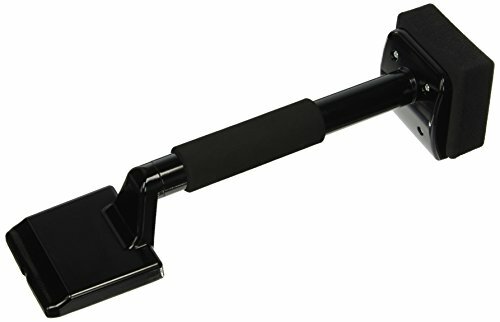 AJ Pit Bull Carpet Kicker Installer has a telescoping handle with 4 Adjustment holes in 1" increments which allows it to telescope from 18 1/2" to 21 1/2". 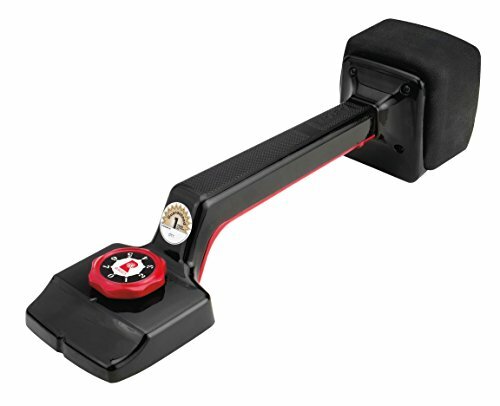 At last Â– an inexpensive knee kicker with great features, designed to stand-up to todayÂ’s jobs! Brand: Crain Cutter Co., Inc.
Bon economy carpet knee kicker is not adjustable. A perfect choice for the do-it-yourselfer and for weekend projects. 16-1/2-Inch length. Three nap grips. Non-slip grip handle. Looking for more Carpet Kicker Tool similar ideas? Try to explore these searches: Red Glass Wall, Haba Natural, and Look Clear Crystal. Look at latest related video about Carpet Kicker Tool. Shopwizion.com is the smartest way for online shopping: compare prices of leading online shops for best deals around the web. Don't miss TOP Carpet Kicker Tool deals, updated daily.